The True and Disturbing Story of Body Snatchers Burke & Hare! The City of Edinburgh, Scotland has a dark and bloody history. 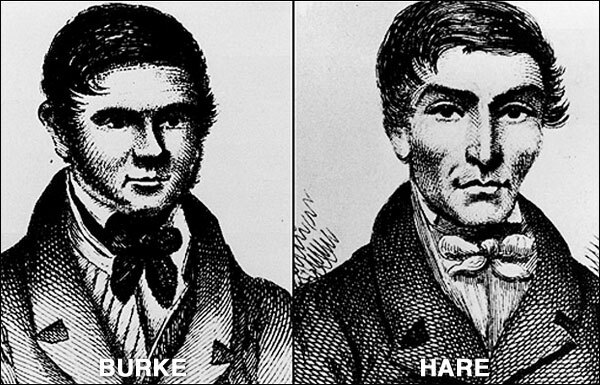 Of all of the gruesome tales one of the most prominent is that of famed body snatchers turned murderers Burke & Hare. However, much of what people have heard about the pair is actually not accurate. For example, neither Burke nor Hare actually robbed a grave – they had other means of obtaining corpses! Read on for the true story of Burke and Hare. Irishman William Burke emigrated to Scotland in 1817, leaving his wife and children back in Ireland. It was there that he met Helen McDougall who became his mistress – and later an accomplice to his crimes. He also made the acquaintance of a fellow Irish emigrant, William Hare. Hare’s wife invited Burke and his lady friend to stay in the spare room in their lodging house and Burke picked up what work he could as a weaver, baker and cobbler. Starting some time around November 1827, Burke and Hare started to earn a little extra cash by selling cadavers to surgeons, most notably one Dr. Robert Knox. The first such body was that of an elderly lodger at Hare’s Tanner’s Close lodging house who had died of natural causes while owning Hare £4 in unpaid rent. The men decided to sell his corpse to recoup the money. It is believed they sold it for £7,10s. Cadavers were in short supply at the time and medical schools were struggling to legitimately acquire them. Previously, the bodies of executed criminals were donated to medical schools, but in the early 1800s the number of executions was beginning to reduce drastically. This meant that some doctors and surgeons were willing to pay handsomely for a fresh cadaver without asking too many questions about its origin. This soon led to a dramatic increase in grave robbing. 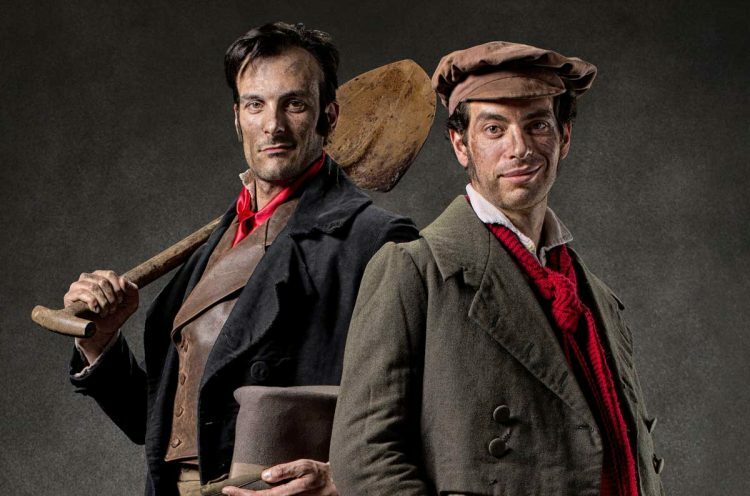 Contrary to popular belief, Burke and Hare were not actually grave robbers. They never actually dug up a corpse which was the most common way for those in the trade to obtain a fresh corpse. Instead, upon realising how lucrative it could be to trade in human flesh, Burke and Hare turned to murder and between January and October of 1828 they murdered 3 men, 12 women and one child. The pair first started by killing guests at the lodging house before moving on to prostitutes and other strangers they snatched from the streets. They developed their own highly efficient method of suffocating their victims which left no forensic evidence to point to murder. Even to this day is known as ‘Burking’ in Scotland. The murderous duo was caught in October 1827 when a resident of the lodging house found a body hidden under one of the beds where the pair had hidden it to await cover of darkness so that they could transport it to Edinburgh Medical College and collect their ill gotten gains. The victim was Mary Docherty. James and Ann Gray who had discovered the body were on route to alert the police when they encountered Burke’s mistress Helen McDougall who apparently tried to bribe the couple £10 per week to keep quite. They refused the bribe and continued to the police. Burke and Hare scrambled to remove the body from the house before the police arrived, but due to discrepancies between McDougall’s and Burke’s statements they were arrested along with Hare and his wife. There was actually very little evidence against the men. There was only one body available to the authorities and medical examiners were unable to state with any certainty how Mrs Docherty had died thanks to that Burking method of strangulation mentioned earlier. The authorities were also fairly certain that if taken to trial Burke and Hare would simply blame on another which would leave the jury uncertain about who should be convicted. Lord Advocate Sir William Rae decided to take matters into his own hands and offered Hare, who he believed to be the more intelligent of the two, the chance to confess and testify against Burke in exchange for immunity. This was a very unpopular decision with both the press and the general public. William Burke and Helen McDougall were put on trial facing three counts of murder – Mary Paterson, James Wilson and Mary Docherty. The trial took place on December 24, 1828 and lasted for 24 hours. The jury finally retired to consider a verdict at 8.30am on Christmas morning and in less than an hour they found Burke guilty of murder and found the charges against McDougall unproven. Lord Justice-Clerk David Boyle sentenced him to death, but with the understanding that Burke’s body would be subjected to the same fate of his victims and after execution he would be publicly dissected and anatomized. He also requested that Burke’s skeleton was preserved and displayed in remembrance of his atrocious crimes. 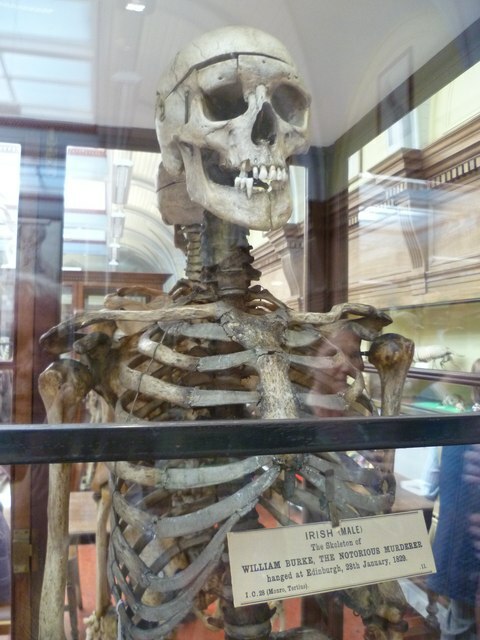 To this day, Burke’s skeleton is on permanent display in the Anatomical Museum of the Edinburgh Medical School for all to see. Burke’s death mask and a book which is bound in his tanned skin are also on display at Surgeons’ Hall Museum. 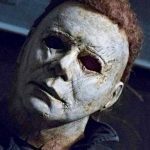 There are also rumours that the remainder of his skin was used to make wallets which were sold on the streets of Edinburgh, but there is no concrete proof of this, although a calling card case made from his skin is on display at The Cadies & Witchery Tours shop in Edinburgh. As for the others who were complicit in the murders, all of them were released without charge. Dr Knox was never prosecuted after Burke swore in his confession that the doctor had been unaware of the origin of the cadavers he was purchasing. Helen McDougall returned to her home after her release but was attacked by an angry mob upon venturing outside and had to be taken into protective custody. She made her way to Stirling and was met with the same hostility. Her next move was to Newcastle, but even there she was recognised and attacked. Her whereabouts after that are unknown. Margaret Hare was released from Calton Gaol and was spotted by a hostile crowd. She was rescued by police who helped her to relocate to Glasgow. However, on 2 occasions she again had to be rescued from angry mobs. She was last seen being put onto a ship bound for her native Belfast. As for William Hare, he was released in February 1829 and assisted in leaving the city. He was placed on a mailcoach to Dumfries, but at one of the stops along the way a fellow passenger recognised him and word of Hare’s arrival in Dumfries spread like wild fire. Police fought to restore order as the locals voiced their displeasure at his presence. He was taken across the border to Carlise and this was the last time he was sighted in Britain. Alyson Duncan is a freelance writer with a passion for the weird and the wonderful! As an amateur paranormal investigator she spends much of her free time in dark abandoned buildings chasing shadows in the dark. Follow her on Twitter at @alyson_duncan. Bodies found in Abandoned Funeral Home! We found the Gates of Hell in Turkmenistan!